Have a model of the Millennium Falcon in your house, a lightsaber and Darth Vader mask. Already a fan of the best Star Wars? No. Although you need your iPhone. 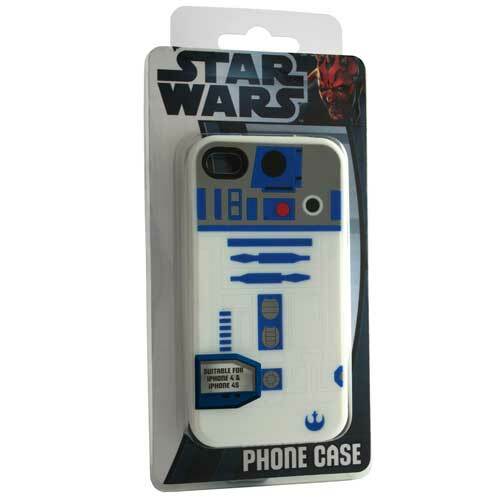 Turn your phone into a collector's item with covers brings Star Wars Regalos Oh! Want to spend the dark side of the force? Besides going to black, wear layer and wear the mask of Darth Vader, the sleeve adds legendary character in the series to your iPhone and everyone will know that you are part of the 'Empire'. With an elegant embossed, this enclosure imitates famous mask of Luke Skywalker's father. Now, when you recite that 'I am your father ", will be more credible. Although maybe your favorite character is R2-D2, the robot looks like a trash accompanying Luke in interstellar travel. This spectacular case for iPhone robot mimics the legendary saga. And is that the iPhone and R2-D2 have several things in common. Both were created with the advance of new technologies, and the two are very 'smart'. For now, the iPhone is not qualified to help drive one of the ships of the Resistance, but maybe in the future there is an application for managing spacecraft. Do you use the stormtroopers mobile phone? In principle we do not, but your iPhone can be decorated with the housing that mimics the famous Stormtroopers helmet. These soldiers, indeed, dropped like flies when they were confronted with Luke, Han Solo and Princess Leia, but made a crucial work to consolidate the Empire. And although they were very adept at shooting the rebels, the design of their black and white outfits marked an era in cinema. Even today they are still very recognizable characters and big hit with fans of Star Wars. So if you're a supporter of the Empire and want enrolarte in his infantry, the first thing to do before you pass the test, is to put this case to your iPhone. Surely you will be easier to remove the opposition Stromtropper. All these cases can be a fun gift for fans of Star Wars. Mobile is one of the devices that we use today more and personalize it with one of these housings ensures you moments of fun. - Officially Licensed Star Wars.